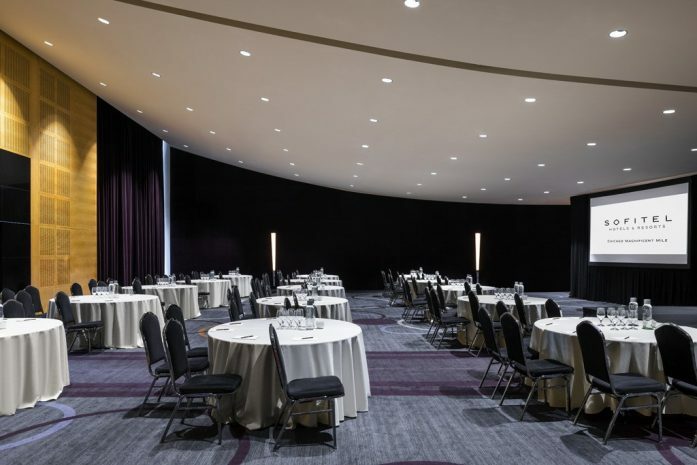 As the centerpiece venue at Sofitel Chicago Magnificent Mile, the contemporary 4,592-square-foot Grand Ballroom offers a splendid setting for conferences and receptions of up to 400 guests. The Grand Ballroom is a dynamic space, featuring a sloped ceiling with floor-to ceiling windows on the southeast side. 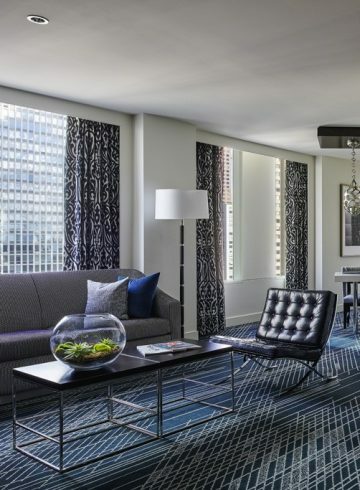 The 19-foot-tall, gently curving windows offer views of the John Hancock Building and surrounding downtown Chicago neighborhood. Just outside of the ballroom, the spacious Grand Foyer offers an open and airy ambiance, with an abundance of natural light. 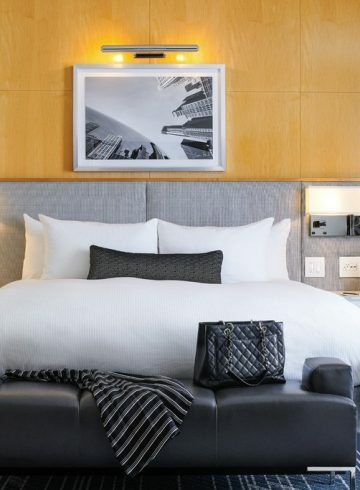 With a magnificent décor complemented by Sofitel’s superb catering cuisine and state-of-the-art audiovisual equipment, the Grand Ballroom is Chicago’s premier event destination.